The architecture team behind the major redevelopment of the Central District’s Midtown Center will once again attempt to push its art-centric design past the finish line next week. 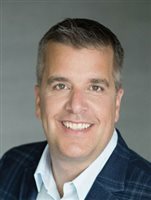 The Seattle Hearing Examiner’s Office has issued a decision that could allow construction of a six-story mixed-use development with a PCC Market in Madison Valley to proceed later this year. 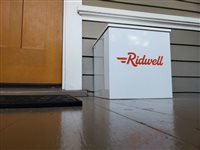 While many people are looking around their homes for things to get rid of that just don’t spark joy, Ridwell founder Ryan Metzger hopes people will use his service to make sure those items don’t simply wind up in a landfill. Capitol Hill residents living near Holy Names Academy are appealing a decision to allow the private school to construct five levels of below-grade parking on its campus. Art may be subjective, but the number of unknowns about how it will work in the latest designs for redeveloping the Central District’s Midtown Center superblock resulted in two review boards shooting down those plans. The design team behind the massive Midtown Center redevelopment in the Central District will submit its latest plans for review and possible approval by the East Design Review Board on Dec. 19, following an extended community outreach campaign. 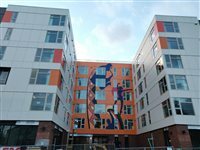 Key Bank officials gave a large check on Nov. 5 to RISE Together at the Liberty Bank building, named for the first black-owned bank in the west that once stood there at 24th Avenue and East Union, which will be used to continue improving affordable housing options and access to local businesses. Consider the list of little-known actors who were suddenly seen in a minor role, then zoomed to stardom: Lana Turner, Ava Gardner, Brad Pitt, Ben Affleck and Matt Damon, Julia Roberts — the list is long. 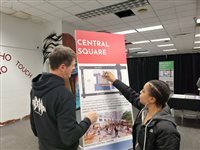 tners representatives were on hand at Midtown Center on Wednesday (Oct. 24) to gather additional community feedback about how the superblock redevelopment can feel more inviting and representative of the Central District. 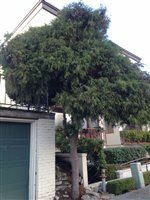 Save Madison Valley is facing a lengthy uphill battle when it makes its case for why the City of Seattle erred in permitting the construction of a major multifamily housing project in the neighborhood earlier this year. Saving the Showbox could come at a major cost, as the property owner is now suing the City of Seattle for the $40 million in potential losses from a sale of the property for redevelopment.